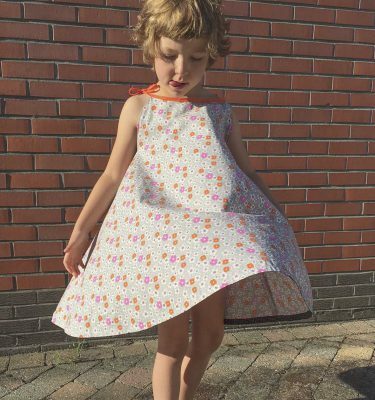 Lotta dress for autumn: sewn by Annika! 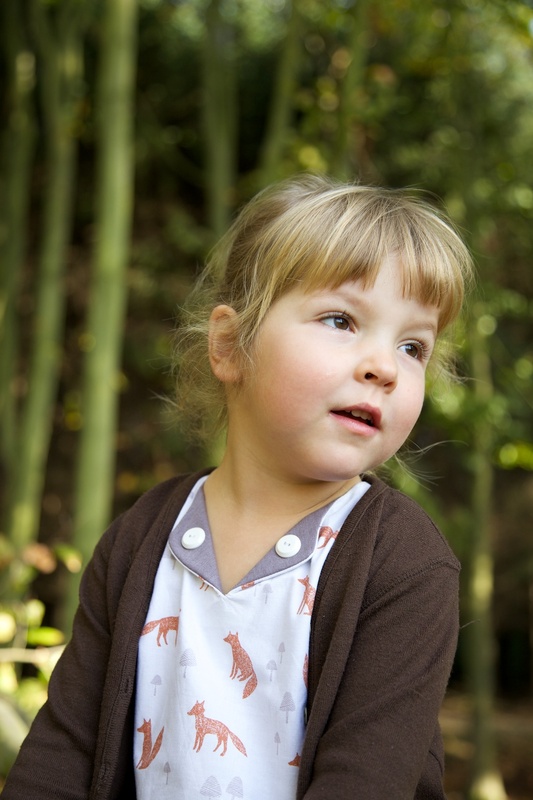 At Abilmente Annika has sewn some great Compagnie M. clothes at the demonstrations she gave! I brought her some fabrics to work with and she turned them into beautiful garments. 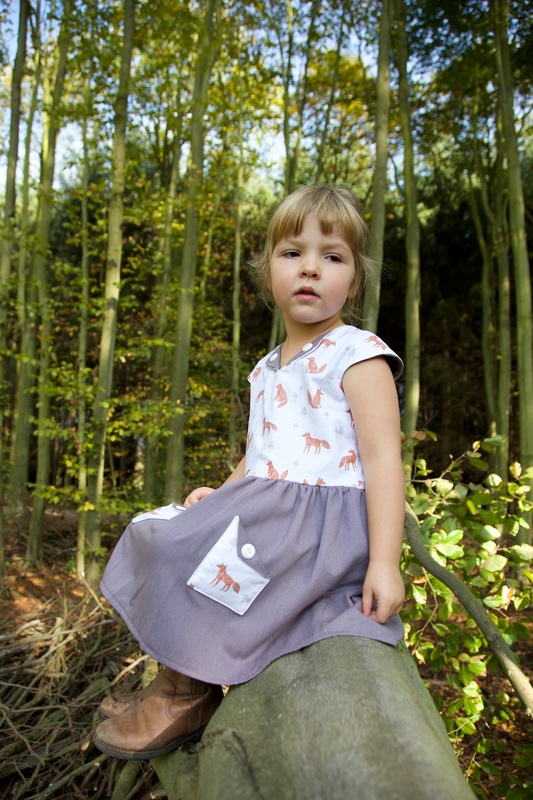 Since her girl doesn’t like to wear dresses, she has sewn a Louisa and Lotta dress in a size 4 for Lisa & Nore. How sweet! 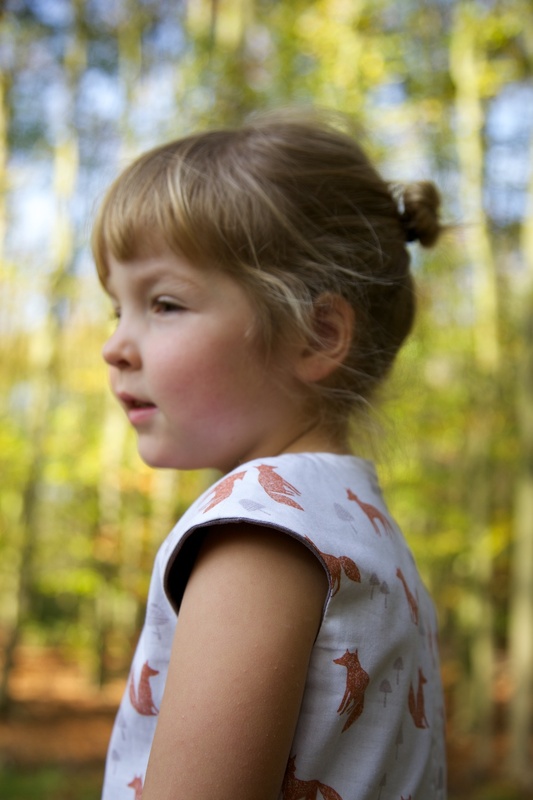 For the Lotta dress, we combined a Dashwood Studio fabric (from Bellelien) with a bargain fabric I bought at Kapellen. The perfect match! 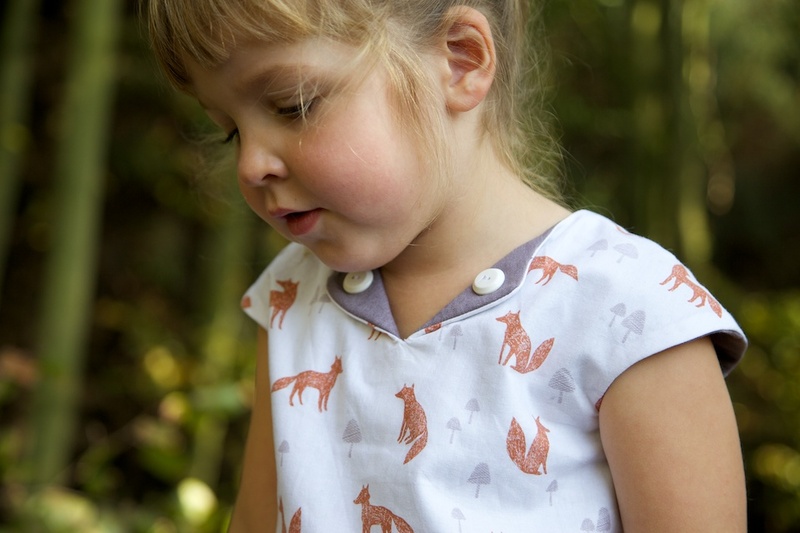 Nore loves the foxes and she’s not the only one! 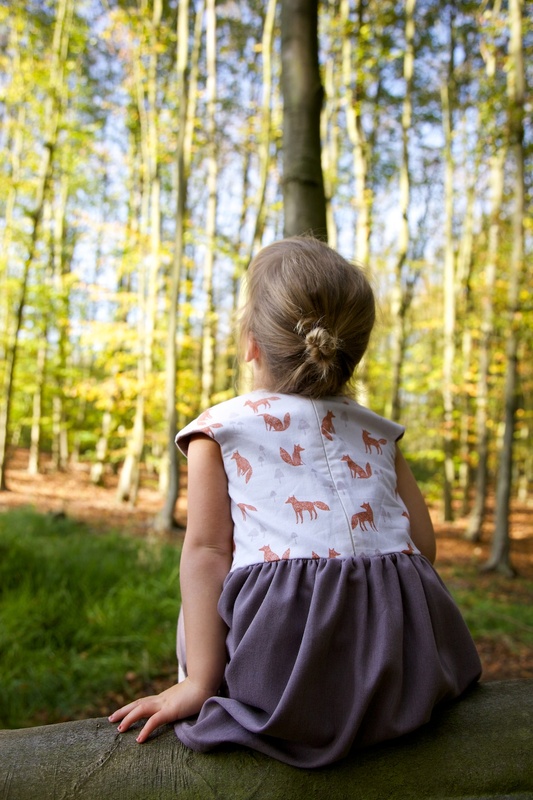 Annika also fell in love with the fabric and used the rest for a Louisa dress. 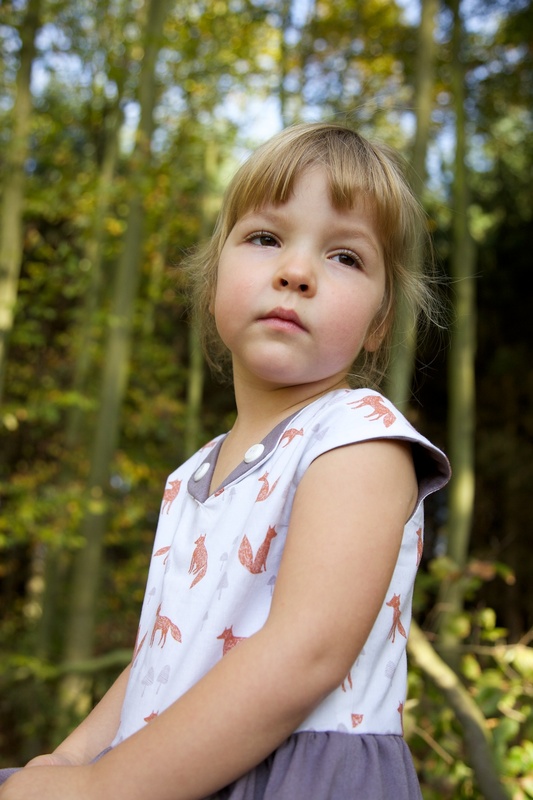 Annika used the folded patch pocket option and I don’t know if you can see it very well, but she has cut the fabric that way, that two little foxes are looking at each other from one pocket to the other! What a great detail! 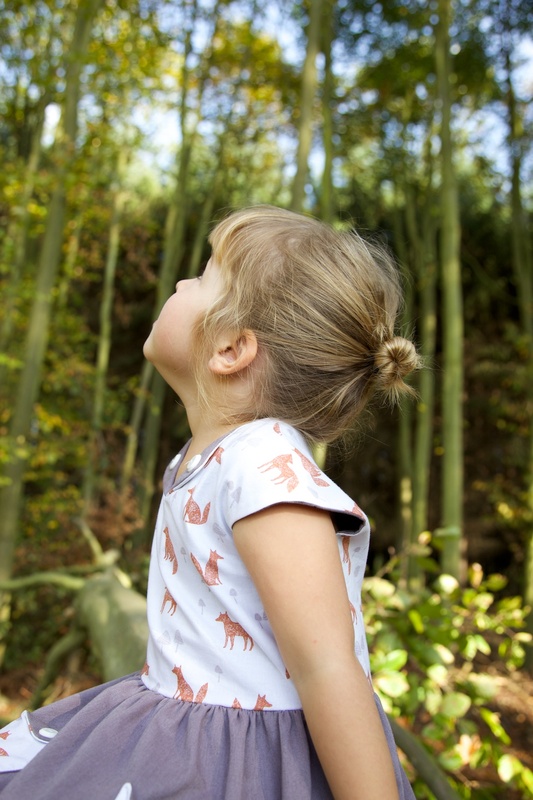 And guess what: Annika is showing even more pictures on her blog today! So hop over to Näh-Connection and leave a sweet comment on her blog too. She deserves it! ontzettend mooi! En zo’n mooie foto’s, Nore zit echt te genieten hé! Super, wat een mooie combinatie van stoffen! En uiteraard ook mooie foto’s!